04/02/19 The Murderbot Diaries: Artificial Condition is a finalist for the Hugo Awards in the Best Novella category! 02/20/19 The Murderbot Diaries: Artificial Condition is a finalist for a Nebula Award!. And The Murderbot Diaries: Exit Strategy is a finalist for a British Science Fiction Association Award! 01/01/19 "Compulsory: A Murderbot Diaries Story" is in the January issue of Wired Magazine. This is a 1000 word flash fiction piece. 10/02/18 The Murderbot Diaries: Exit Strategy is now available in ebook, hardcover, and audiobook (narrated by Kevin R. Free). 09/06/18 New events for October have been posted on Appearances! And you can see excerpts from Martha's interview in Locus Magazine. 08/22/18 You may have heard, Martha won a Hugo Award for Best Novella for The Murderbot Diaries: All Systems Red! There's a report about WorldCon and the Hugo Awards here: https://marthawells.dreamwidth.org/444103.html. 08/07/18 The Murderbot Diaries: Rogue Protocol is now available in ebook, hardcover, and audiobook (narrated by Kevin R. Free). 07/05/18 The Murderbot Diaries: All Systems Red has won a Nebula Award! and a Locus Award! 05/08/18 The Murderbot Diaries: Artificial Condition is now available in ebook, hardcover, and audiobook (narrated by Kevin R. Free). The audiobook of The Murderbot Diaries: All Systems Red is #8 on the New York Times Bestseller List for Audio for May 13. 03/31/18 The Murderbot Diaries: All Systems Red is a Hugo Finalist in the Best Novella category and The Books of the Raksura is a Hugo Finalist in the Best Series category! 03/21/18 The first story in Dominaria for Magic: the Gathering is posted. At least ten more stories will be posted once a week on Wednesday. 02/20/18 The Murderbot Diaries: All Systems Red is a Nebula nominee in the Best Novella category! 02/14/18 All Systems Red: The Murderbot Diaries has won an ALA/YALSA Alex Award. The cover for The Murderbot Diaries: Exit Strategy has been posted and it's now up for preorder. Martha will be writing the web fiction for the new Dominaria expansion for Magic: the Gathering. 11/09/17 Martha's World Fantasy Convention 2017 toastmaster speech is online at Tor.com. 10/31/17 SF novella The Murderbot Diaries: All Systems Red is now available in audiobook, narrated by Kevin R. Free. 10/01/17 New 150 page SF novella The Murderbot Diaries: Artificial Condition is now available for preorder in ebook and hardcover for a May 2018 release. The Murderbot Diaries: Rogue Protocol is now available for preorder in ebook for a August 2018 release. The The Murderbot Diaries series will be released in audiobook later in 2017 and 2018. 05/02/17 The Murderbot Diaries: All Systems Red is now available in ebook and paperback. The trade paperback of The Edge of Worlds is also now available. 04/02/17 If you want a signed, personalized paperback copy of The Murderbot Diaries: All Systems Red, you can order one through Murder by the Book here: http://www.murderbooks.com/event/martha-wells-preorder before May 5. There will also be a signing at Murder by the Book on July 15 with Rachel Caine, where they'll have copies of the hardcover and trade paperback of The Harbors of the Sun and the trade paperback of The Edge of Worlds. You can preorder Martha's and Rachel's books through the store here and get them signed and personalized and shipped to you. 12/14/16 Martha's new SF novella The Murderbot Diaries: All Systems Red is up for preorder in ebook and trade paperback from Tor.com. It will be published on May 2, 2017. 11/30/16 The Raksura Patreon will be continuing through July 2017, with two pieces of short fiction per month. The Harbors of the Sun is now available for preorder in ebook. 10/25/16 Martha has sold two new SF novellas to Tor.com, and the first one, The Murderbot Diaries: All Systems Red will come out next summer in ebook and paperback. 09/14/16 The Appearances page has been updated. Martha will be toastmaster at the World Fantasy Convention 2017 in San Antonio. 09/08/16 The Harbors of the Sun is now available for preorder in hardcover. 04/24/16 The Edge of Worlds was reviewed by the New York Times. 04/15/16 Martha has a short story in this kickstarter anthology: Mech: Age of Steel. It's a Three Worlds story, though with different characters, not Raksura. 04/05/16 The Edge of Worlds: A Novel of the Raksura is now available in hardcover and ebook and will be released later in audiobook. Saturday, April 9, 2016 at 4:30 pm. Martha will be doing a signing with J. Kathleen Cheney at Murder by the Book in Houston, TX. Contact the store to buy autographed books and have them personalized during the signing. 02/03/16 The Edge of Worlds: A Novel of the Raksura is available for preorder in hardcover and ebook and will be released April 5. The Appearances section has been updated. 11/22/15 Martha has a new story coming out in the The Gods of Lovecraft anthology. It will be released on December 11 in hardback, paperback, and ebook. 10/26/15 There is now a Patreon for extra Raksura content. 10/06/15 Cover reveal for The Edge of Worlds on SF Signal! The gorgeous art is by Yukari Masuike. Now available for preorder in hardcover. Ebook preorder will be available later this year. 09/25/15 Appearances and Interviews and Questions have been updated. 07/29/15 New Raksura book announcement! New Book Announcement: Martha Wells' The Edge of Worlds first of a two book set, will be published in April 2016. The cover artist is Yukari Masuike. 06/02/15 Stories of the Raksura II: The Dead City & The Dark Earth Below is now out in ebook and trade paperback. There will be an audiobook, but we're not sure yet when it will be released. 04/08/15 The Between Worlds: the Collected Ile-Rien and Cineth Stories ebook has been sent out to Six by Six Kickstarter participants and is now available for purchase. 02/28/15 Appearances has been updated with new conventions. 01/28/15 Added the Three Worlds Traveler's Guide. 01/05/15 Stories of the Raksura II: The Dead City & The Dark Earth Below has a new cover by Matthew Stewart, and is now available for preorder in paperback and ebook. 12/22/14 Interviews and Questions has been updated with two new podcast appearances and guest posts. 09/21/14 Appearances has been updated with new signings and a convention. 09/02/14 Stories of the Raksura Vol. I: The Falling World & The Tale of Indigo and Cloud is now available in ebook and audiobook. The trade paperback will be released on September 16. 07/13/14 Tales of the Emerald Serpent II: A Knight in the Silk Purse, which includes Martha's story "Soul of Fire," is now available in ebook and paperback. Blade Singer, co-written with Aaron de Orive, can now be ordered in ebook and paperback. Stories of the Raksura I can now be preordered in ebook and paperback for a September 2 release, and will also be released as an Audiobook by Audible.com. 06/11/14 The Cloud Roads is being reprinted in trade paperback. 04/22/14 New story posted: Rites of Passage, a Giliead and Ilias novelette, set before the Fall of Ile-Rien trilogy. 02/16/14 Emilie and the Sky World, Tales of the Raksura Vol. I, and the paperback edition of Star Wars: Razor's Edge are available for preorder now on the Buy Books Online section. Emilie and the Sky World will be available in stores on March 4. 01/28/14 Announcement about the upcoming Raksura novellas on the blog. 01/04/14 Wheel of the Infinite audiobook is now available. And the Appearances schedule has been updated. 12/10/13 The Gate of Gods audiobook and the City of Bones audiobook are now available. All the Tantor audiobooks are on sale for 50% off this month. New fan music has also been posted to the Three Worlds Compendium. 11/04/13 The Wizard Hunters and The Ships of Air are now available in audiobook. The Gate of Gods audiobook will be available on November 25. The Giliead and Ilias novella "Holy Places" has bee reprinted in the November ebook edition of Lightspeed Magazine. 10/15/13 The cover for Emilie and the Sky World (March 2014) has been posted. The list of recent interviews has been updated. And "Thorns" is available on Podcastle. 09/30/13 The The Element of Fire and The Death of the Necromancer are now available as audiobooks. Martha's Star Wars novel, Empire and Rebellion: Razor's Edge is now available in hardcover, ebook, and audiobook. 09/23/13 The The Element of Fire is now available as an audiobook. On 9/24/13, Martha's Star Wars novel, Empire and Rebellion: Razor's Edge will be available in hardcover, ebook, and audiobook. 07/31/13 An eBook compilation of the Books of the Raksura is now available on Kindle, Nook, and Kobo. 07/01/13 It's Martha's Twenty Year Anniversary as a professional writer. Also, the full text of The Death of the Necromancer has been posted online at Black Gate Magazine. 06/06/13 The Appearances section has been updated. 06/03/13 Black Gate Magazine is serializing The Death of the Necromancer as part of their online fiction series. Part One has been posted. 05/21/13 Martha was interviewed on Tor.com. 04/24/13 New fan-written music has been added to the Three Worlds Compendium. 4/23/13 SF/F anthology The Other Half of the Sky is now available in paperback and ebook! Martha's story is a Raksura story starring Jade. 4/02/13 Young adult fantasy Emilie and the Hollow World is now available in paperback and ebook! 2/19/13 The audiobook of The Siren Depths is now available on Audible.com, narrated by Christopher Kipiniak. And The Death of the Necromancer has been released in ebook. 02/08/13 Martha was interviewed by Roqoo Depot. 02/06/13 The Three Worlds Compendium has been updated with a new short story "Trading Lesson." The Death of the Necromancer will be released in ebook on February 19. 01/18/13 The Three Worlds Compendium has been updated with new fan art and the Appearances page has been updated. 12/06/12 The Siren Depths is now available in paperback from bookstores and online, and the ebook is now available at several retailers. It's the cheapest, and DRM-free, at the Baen Webscription eBook Store. Martha also has a Big Idea post The Siren Depths at Whatever. 11/30/12 The Three Worlds Compendium has been updated with new fan art. 11/14/12 The Siren Depths is shipping early from some retail outlets. The ebook version will be available in December. Martha has an article in the non-fiction Doctor Who anthology, Chicks Unravel Time, which is now available. 11/08/12 The first chapter of Emilie and the Hollow World has been posted, and the Appearances page has been updated. 11/05/12 The cover for Emilie and the Hollow World has been posted. You can also enter a drawing to win an early copy of The Siren Depths by donating to a hurricane Sandy relief organization: details on this post. 09/24/12 The Three Worlds Compendium has been updated with new fan art. 08/17/12 Emilie and the Hollow World, to be published by Strange Chemistry Books in April 2013, is now available for preorder. 08/01/12 The Element of Fire, City of Bones, and Wheel of the Infinite are now available as DRM-free ebooks on Kobo. 07/09/12 The Three Worlds Compendium has been updated with a new missing scene from The Cloud Roads and a second sample chapter of The Siren Depths, which will be published in December 2012. 06/18/12 Martha has a short story in the new shared world fantasy anthology Tales of the Emerald Serpent. Available now in ebook and trade paperback. 05/15/12 A YA fantasy novel Emilie and the Hollow World will be published in April 2013 by Strange Chemistry Books. The third Books of the Raksura novel, The Siren Depths will be published in December 2012 by Night Shade Books. 04/20/12 The Three Worlds Compendium has been updated with new fan art, and the cover image for The Siren Depths. 02/28/12 The third Books of the Raksura novel will be published in January 2013 by Night Shade Books. 02/15/12 New short story, a prequel to The Cloud Roads: Adaptation. 01/11/12 The Serpent Sea is now available on Barnes & Noble NookBook and iTunes. The audiobook is now available at Audible.com and Amazon.com, narrated by Christopher Kipiniak. 12/30/11 The Serpent Sea is now available in bookstores. Ebooks: The Kindle and Baen Webscription ebooks are now available. The Nook and Kobo versions should show up on or after January 1. Martha will be doing a book signing for The Serpent Sea at Murder by the Book, in Houston, Texas, on Saturday January 7 at 4:30, along with authors Kimberly Frost and Jaye Wells. Use this link to order signed copies online. 12/08/11 New interviews added to the Interviews and Questions section. 11/06/11 The Audiobook version of The Cloud Roads is now available from Audible.com and Amazon.com. There is a GoodReads giveaway contest for The Serpent Sea, to be released in January 2012. 9/26/11 The first and second chapters of The Serpent Sea are now available as a teaser. The novel will be released in January 2012 by Night Shade Books, and is now available for preorder. 9/21/11 The Serpent Sea is now available for preorder. 9/20/11 New short story, set in the same world as The Cloud Roads: The Almost Last Voyage of the Wind-ship Escarpment. If you enjoy the story, please consider putting a donation in the tip jar. 8/26/11 The first chapter of The Serpent Sea is now available as a teaser. The novel will be released in January 2012 by Night Shade Books. 7/25/11 Wheel of the Infinite is now available on Amazon Kindle and NookBook. 5/18/11 Martha will be guest of honor at ApolloCon 2011, in Houston, Texas on June 24-26, 2011. 4/21/11 Martha will be doing a book signing for The Cloud Roads at Murder by the Book, in Houston, Texas on April 30, 2011, 4:30 pm. 4/03/11 The Appearances section has been updated. 3/15/11 Martha has a Big Idea post on The Cloud Roads up on John Scalzi's Whatever Blog. Drawing for Free Books: Just comment on any post at the Night Bazaar Blog this week, with the title of a novel set in a secondary world (any made-up fantasy world), and you'll be entered in the drawing at the end of the week for one of at least four autographed and personalized copies of The Cloud Roads. 03/06/11 The Cloud Roads is now also available as an ebook at the Baen Webscription eBooks Site, Amazon Kindle Edition, and Barnes & Noble NookBook. 02/12/11 The Cloud Roads has started to show up in some bookstores now. The first sighting was at The Tattered Cover in Denver, Colorado. Ebook Availablity: The Amazon Kindle edition and the Baen Webscription version will probably be available closer to the book's original release date, of early March. There will be an announcement here and on the Live Journal when the ebook version is available. The Element of Fire and City of Bones are now available as Barnes and Noble NookBooks. 02/03/11 New reviews for The Cloud Roads. Appearances page has been updated. Martha will be guest of honor at ApolloCon 8 this year. 01/21/11 Publishers Weekly starred review for The Cloud Roads: Wells...merrily ignores genre conventions as she spins an exciting adventure around an alien hero who anyone can identify with. 01/13/11 The second chapter of The Cloud Roads has been posted as a teaser here Scroll up for the first chapter. 12/02/10 Added links to more online retailers that have The Cloud Roads, to be published in March 2011, available for preorder. 11/10/10 The Cloud Roads, to be published in March 2011, is now available for early preorder at some online retailers. The first chapter has been posted as a teaser here. 11/02/10 Posted The Cloud Roads cover! 10/06/10 The Cloud Roads now has a publication date of March 2011. 09/16/10 Two new interviews linked on the Interviews and Questions page. 07/20/10 Martha has just sold two new fantasy novels to Night Shade Books through her agent, Jennifer Jackson of the Donald Maass Agency! More details on the journal. 06/09/10 Added links to the Links for Beginning Authors section. 01/16/10Just posted Houses of the Dead as part of the Crossed Genres Post a Story for Haiti effort. 12/29/09 Martha will be Special Guest at AggieCon 41 in College Station, TX, February 5-7, 2010. The mass market German edition of The Death of the Necromancer is now available. 09/15/09 New short story: Reflections, published in Black Gate #10. 08/11/09 New short story: Holy Places, published in Black Gate #11. If you enjoy the story, please consider putting a donation in the tip jar. 07/14/09 New short story: The Potter's Daughter, first published in Elemental: the Tsunami Relief Anthology. 07/10/09 New short story: The Forest Boy. If you enjoy the story, please consider putting a donation in the tip jar. 06/18/09 More books now available in Amazon Kindle Editions. List of agent blogs added to the links page. 06/01/09 Updated the list of Interviews and Questions. 04/24/09 The website RisingShadow.net, which is in both English and Finnish, just posted a short interview with Martha (in English) here. The Link List has also been updated. 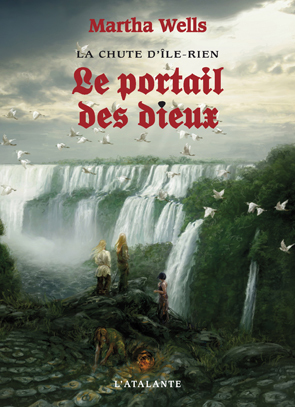 12/17/08 The French edition of The Gate of Gods (translated by Anne Belle, cover by Amandine Labarre) will be available in late January from Amazon.fr. 10/21/08 The Lone Star Stories Reader, with a reprint of Martha's story "Wolf Night," is now available for preorder from Amazon US. 9/03/08 For German fans: there's an interview with Martha up on Linda Dannenberg's blog fantasyfaszination. 7/14/08 Martha's story "Wolf Night" will be reprinted in The Lone Star Stories Reader anthology, available for preorder here. 06/22/08 Martha's story "Houses of the Dead" will be available in Black Gate #12 after July 7. 04/15/08 Martha will be doing a book signing on May 17, with J. M. McDermott and Rob Rogers at the Barnes and Noble on 5601 Brodie Lane in Austin, Texas. 2:00 pm to 4:00 pm. The German edition of The Death of the Necromancer is now available. 01/19/08 Some of Martha's older short stories are available in print again through Anthology Builder. 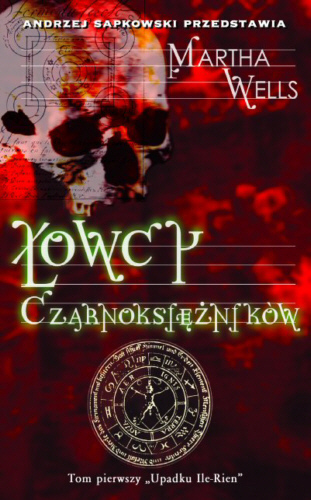 12/27/07 City Of Bones (Tor, June 1995) is now back in print in trade paperback at Lulu.com. 11/29/07 The Appearances page has been updated. 11/14/07 The French edition of The Ships of Air from l'Atalante is now available at Amazon.fr. 11/12/07 The Element of Fire is now available for free download in a variety of different formats on ManyBooks.net. 09/13/07 Martha's story "Holy Places" is now available in Black Gate #11. 07/26/07 Martha is listing her library on LibraryThing. 07/02/07 Martha's story "Holy Places" will be in Black Gate #11, to be available later this month. 06/03/07 The Year's Best Fantasy #7 (Tachyon Publications) is now available. The story Martha has in it is "The Potter's Daughter," which was published in 2006 in the Tsunami relief anthology Elemental. It's a prequel to The Element of Fire, about Kade. It's at Barnes and Noble, Amazon US, Amazon UK, Amazon.ca, Amazon.de, or you can find it at a local independent book store through Booksense. Also, The Element of Fire is out again in the French mass market edition at Amazon.fr here. 05/30/07 Stargate Atlantis: Entanglement is now available in the US at Barnes and Noble, Who North America, at local independent bookstores through BookSense, and finally at Amazon US. 05/02/07 The Spanish edition of The Element of Fire is available in Trade Paperback from Bibliopolis. 05/01/07 Added a section with links to purchase eBooks here. 04/25/07 Stargate Atlantis: Entanglement is now available on Amazon US. 04/04/07 Fron the editor of Black Gate Magazine: Black Gate 10 has been printed and is now off to the distributor. It should be appearing in retail outlets like Barnes & Noble, Walden's Books, Borders, and other book stores within the next week or two. Keep your eyes sharp! If your local retail outlet doesn't carry the issue, order it from our home page. Martha has stories in 10, 11, and 12. All three are early prequels to The Wizard Hunters, about Giliead and Ilias. ActuSF a French SF/F website, has just posted an interview with Martha. There's an English version and a French translation. 03/18/07 Added ApolloCon and ArmadilloCon to Appearances. 12/28/06 The revised 2006 print edition of The Element of Fire is now available at Lulu.com, Barnes and Noble, Amazon, Amazon UK. 12/17/06 Martha's short story "The Potter's Daughter," which was published last year in the anthology Elemental, will be reprinted in The Year's Best Fantasy #7 from Tachyon Publications. "The Potter's Daughter" features Kade Carrion from The Element of Fire. 11/13/06 The complete revised 2006 edition of The Element of Fire is now available in a POD edition here. 10/24/06 The complete revised edition of The Element of Fire is now posted online in Live Journal here and in HTML files here. 09/20/06 Martha is posting a revised edition of The Element of Fire on in her Live Journal here. Chapters will be posted every few days until the book is complete. 09/01/06 Martha will be at the Utopiales Festival, in Nantes, France, on November 2-5, 2006. Martha's Gil and Ilias story "Houses of the Dead" will be appearing in an upcoming issue of Black Gate Magazine. 08/01/06 Martha's new fantasy short story	"Wolf Night" is now available at the free bimonthly webzine Lone Star Stories, August/September 2006 issue. 07/26/06 The mass market paperback edition of The Gate of Gods is now available from Barnes and Noble, Amazon, Amazon UK, Clarkesworld Books, or you can find it at a local independent book store through Booksense. The Death of the Necromancer has also been released in Spanish by Biliopolis. 05/25/06 Added reader reviews to the SGA: Reliquary page. Also added a Public School Donors Choose challenge for donations to reading and literacy programs. You can choose a reading program in a public school to donate to, or donate to the entire challenge. Most of the programs don't need a huge amount of money, so even $5.00 will help. And a PSA: aspiring writers should bookmark Writer Beware's List of the Twenty Worst Agents. 05/13/06 There's now an official Elemental web site with the list of contributors, reviews, and more information. 04/27/06 Updated Works in Progress. 04/26/06 Elemental, edited by Steve Savile and Alethea Kontis, will be released May 16. It is now available for preorder at Amazon or you can find it at an independent book store near you through Booksense. Martha's story is "The Potter's Daughter," which features Kade Carrion from The Element of Fire. 04/06/06 Stargate Atlantis: Reliquary, is now available. The Amazon UK listing for Reliquary is here. 03/22/06 Conestoga has posted a podcast of a short interview Martha did at ConDFW. AggieCon is coming up this weekend. 03/06/06 Martha was interviewed by Shaun Farrell on the web site Far Sector about Stargate Atlantis: Reliquary. 02/26/06 The cover for Stargate Atlantis: Reliquary is now posted here. Click on the small version to see the larger image. 01/29/06 Added Conestoga 10 to Appearances. 01/17/06 The preorder button is finally there on the Amazon US listing for Stargate Atlantis: Reliquary, which will be released around February 15. 01/01/06 Martha has a Stargate SG1 short story "Archeology 101" in this month's (January/February 2006, #8) issue of Stargate Magazine. Martha has an essay "Neville Longbottom: the Hero With a Thousand Faces" in the Mapping the World of Harry Potter non-fiction anthology now available from BenBella Books. Available at Amazon and Barnes and Noble.com. 12/09/05 Added a sample chapter for Stargate Atlantis: Reliquary, which will be released in February 2006. Appearances was updated with next year's conventions, and a review was added to The Gate of Gods. The Bibliography page lists all published and forthcoming novels, short stories, and articles. It will be updated whenever there's new information on forthcoming works, including issue numbers, dates, and links to where to find them. 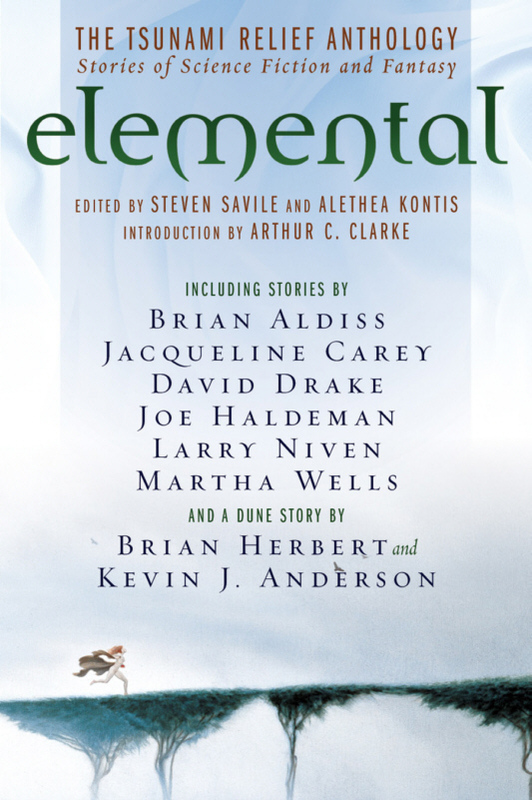 11/16/05 Elemental, edited by Steve Savile and Alethea Kontis, is now available for preorder at Amazon or you can find it at an independent book store near you through Booksense. Martha's story is "The Potter's Daughter," which features Kade Carrion from The Element of Fire. Romance Reviews Today reviewed The Gate of Gods. 10/20/05 Added new reviews for The Gate of Gods. It should be appearing in stores in the next couple of weeks, and can also be ordered through Barnes and Noble.com for the November release. It's also been up on Clarkesworld Books, an independent boostore, and Amazon or you can find it at an independent book store near you through Booksense. 10/11/05 Martha has an essay "Neville Longbottom: the Hero With a Thousand Faces" in the Mapping the World of Harry Potter non-fiction anthology from BenBella Books Available at Amazon and Barnes and Noble.com. Martha will also have a Stargate SG1 short story "Archeology 101" in the #8 issue of Stargate Magazine. Appearances updated with new convention appearances. Get signed hardcovers and an advanced galley of The Gate of Gods at this charity auction for the American Red Cross. 08/17/05 The Farscape Forever nonfiction anthology from BenBella Books is now available. Martha's article is "Don't Make Me Tongue You: John Crighton and D'Argo and the Dysfunctional Buddy Relationship." 07/10/05 Appearances updated (with information about a November signing at Carousel Paperbacks in College Station, Texas). 06/05/05 The Farscape Forever nonfiction anthology from BenBella Books is now up for preorder on Amazon. Martha's article is "Don't Make Me Tongue You: John Crighton and D'Argo and the Dysfunctional Buddy Relationship." The Gate of Gods is now up for preorder on Barnes and Noble.com for the November release. It's also been up on Clarkesworld Books, an independent boostore, and Amazon or you can find it at an independent book store near you through Booksense. ApolloCon is coming up June 24-26 in Houston, Texas. 04/08/05 Martha will have an essay in the forthcoming non-fiction anthology Farscape Forever from BenBella Books. 03/27/05 The Gate of Gods is now available for preorder at Amazon, for a November 1 release date. The paperback edition of The Ships of Air will actually be out from HarperCollins around November 1, not September as originally reported. 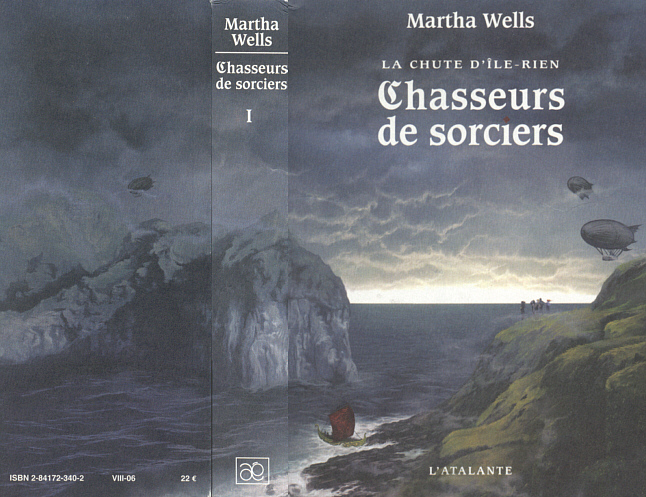 The Wizards Hunters will be released in France by l'Atalante, who also published the French editions of The Death of the Necromancer and The Element of Fire. The translation links were removed from the site since they weren't loading properly, causing some browsers to fail to load the pages. 02/04/05 Just posted the cover by Donato Giancola for The Gate of Gods. 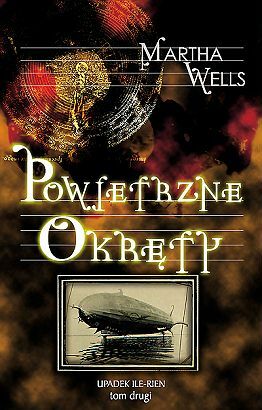 01/16/05 The Ships of Air will be released in Poland by MAG, who also published the Polish editions of The Wizard Hunters and The Death of the Necromancer. 12/24/04 The paperback edition of The Ships of Air will be out from HarperCollins around September 1, 2005 and The Gate of Gods will be released in hardcover November 2005. 10/19/04 The paperback edition of The Ships of Air will be out from HarperCollins around September 1, 2005. Which hopefully means The Gate of Gods will be out in hardcover sometime in the October/November range. 10/04/04 Martha will be at Book and Arts Festival, Saturday, October 9, in College Station, Texas, at the P. David Romei Arts Center on Dartmouth Street. 9:00 am to 3:00 pm. Books and crafts will be on sale and local authors will be doing signings. 09/20/04 Updated Works in Progress. The site has also been moved to a new hosting service, so you may notice some changes in the way things work. 08/24/04 Updated Appearances with information on ConDFDW and ApolloCon. Martha will be a program participant at next week (September 2-6) at Noreascon 4, the Worldcon in Boston, Massachusetts. Martha's schedule of panels and her reading and signing were posted to the Journal. Also, the Cafe Press store was updated. 07/20/04 Added new reviews for The Ships of Air and The Wizard Hunters. And there will be a talk and signing at Murder by the Book, at 4:30pm in Houston, Texas on Saturday, July 24. This store does do online ordering, so if you can't be there but would like a signed and personalized book, please contact them. 07/01/04 Added Publishers Weekly review for The Ships of Air. 06/29/04 The hardcover The Ships of Air is now available from Barnes and Noble. It should also be at your local bookstores, though you may want to call first to make sure they have it in stock. Remember, you can also ask your local library to order a copy. Also redid the Bibliography to make it easier to read. If you would like to get an email when new books are released or when there are major updates to this site, add your name to the Update Email List. We now accept Paypal payments to purchase autographed out-of-print books from the author. 06/18/04 Added reviews for The Ships of Air and updated Appearances. There will be a signing at Carousel Paperbacks, in College Station, Texas on July 10, at 2:00 pm. Mighty Literati in Bryan, Texas, still has signed copies of The Wizard Hunters in hardcover and the store does do online ordering. 05/25/04 The paperback edition of The Wizard Hunters is now available from Barnes and Noble here and from your local bookstores. 05/22/04 Updated Appearances. Martha will be appearing on Brazos Writers Talk, a radio show on KEOS in Bryan, Texas, May 24, 2004, at 6:00pm CST. And there will be a talk and signing at Murder by the Book, in Houston, Texas on July 24. 05/19/04 Added reviews for The Ships of Air. 05/03/04 Chapter Five of The Ships of Air was posted. This chapter was added to the existing file, so if you've viewed this file recently you may need to clear your browser's cache to see the new material. The hardcover The Ships of Air is now available for preorder from Barnes and Noble and the paperback of The Wizard Hunters is available for preorder from Barnes and Noble here. 04/26/04 Added the Polish edition cover by Piotr Wyskok for The Wizard Hunters. (Thanks to Joanna for finding that.) The Death of the Necromancer will be published in Spanish by Bibliopolis. Chapter 5 of The Ships of Air will be added next month. (This will be the last chapter of the book to appear on the web site. 04/02/04 Martha has a reprinted story "Bad Medicine" in the current issue of the e-zine Lone Star Stories. The talk and signing at the Mighty Literati Bookstore is Saturday, April 3, 2004, 2:00 to 4:00 pm. 03/16/04 Updated Appearances. The talk and signing at the Mighty Literati Bookstore has been moved to Saturday, April 3, 2004, 2:00 to 4:00 pm. The bookstore will have hardcover copies of The Wizard Hunters for sale. 03/11/04 The hardcover The Ships of Air is now available for preorder from Barnes and Noble and the paperback of The Wizard Hunters is avilable for preorder from Barnes and Noble here. 03/07/04 Updated Appearances. AggieCon 35 and a signing at the Mighty Literati Bookstore are coming up this month. The bookstore will have hardcover copies of The Wizard Hunters for sale. Chapter Four of The Ships of Air was posted. 01/26/04 Updated Appearances with two new convention appearances in 2004. ConDFW is coming up in February. Chapter Three of The Ships of Air was posted. 12/29/03 Updated Appearances. ConDFW is coming up in February. Another chapter of The Ships of Air should be added sometime in January. 11/03/03 Posted the second chapter of The Ships of Air, the sequel to The Wizard Hunters and the second book in "The Fall of Ile-Rien" series. Also posted the cover by Donato Giancola. 10/27/03 Mystery writer Sara Paretsky has a fascinating article on libraries, censorship and freedom of speech here. Pass the link on to anyone who might be interested. 10/15/03 Updated Appearances. Martha will be appearing at PhilCon in December. The Wizard Hunters will be available in mass market paperback in July 2004, the same month the sequel The Ships of Air will be published in hardcover. 09/10/03 Posted the first chapter of The Ships of Air, the sequel to The Wizard Hunters and the second book in "The Fall of Ile-Rien" series. This book is still tentatively scheduled for publication in July 2004. 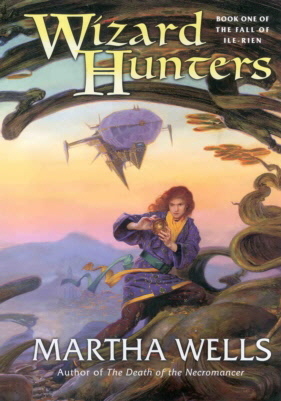 08/15/03 The Wizard Hunters was reviewed by Michelle West in the September 2003 issue of The Magazine of Fantasy and Science Fiction. 08/01/03 Interviews and Questions was updated with a brief article written for the HarperCollins Eos Newsletter. 07/28/03 Works in Progress was updated. 06/20/03 A tentative publication date of July 2004 has been set for the tentatively -titled The Ships of Air, the second book in the The Fall of Ile-Rien trilogy. Remember, it's all tentative. 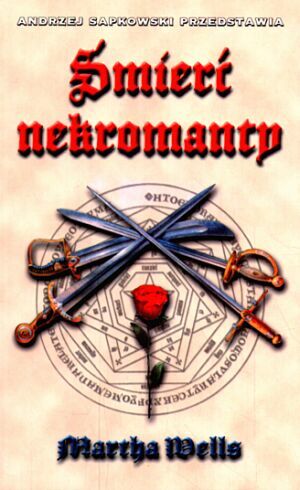 06/19/03 We now have an image of the cover for the Polish edition of The Death of the Necromancer. Thanks to Joanna for tracking that down! 06/09/03 Updated Works in Progress with some information on the next book in the "Fall of Ile-Rien" series. "Just to let everyone know that I started a discussion list about Mrs. Wells' books on Yahoogroups. Everyone is welcome to join and discuss about Mrs. Wells' books, as well as other fantasy/science fiction authors. And also get to know other fans of her books." 05/12/03 Barnes and Noble has The Wizard Hunters listed as available starting tomorrow, May 13. If you're planning to buy it from your local bookstore, you may want to call first to make sure they have it in stock. 04/30/03 Added another review for The Wizard Hunters. Updated Appearances. Martha will be signing The Wizard Hunters at Carousel Paperbacks in College Station, Texas on May 17. Late Breaking News: The French edition of The Element of Fire ("Le feu primordial ", l'Atalante) has been nominated for Second Annual Imaginales Award given out at the Imaginales Festival in Epinal, France. Artist Gilles Francescano has also been nominated for the cover art. Other Nominees in the Novel category are American Gods by Neil Gaiman, La mort d'Ayesha by Ange, Abarat by Clive Barker, and Le pas de Merlin by Jean-Lous Fetjaine. 04/14/03 Added another review for The Wizard Hunters. It should be appearing in stores sometime between May 13 and May 20. 03/27/03 Updated Appearances. Martha will be signing The Wizard Hunters at Murder by the Book in Houston, Texas on June 28. 03/14/03 RevolutionSF is currently featuring Martha's short story "Bad Medicine." 03/13/03 Posted a fifth chapter of The Wizard Hunters. This will be the last chapter posted on the site. The publication date is still May 2003 but the book is available for preorder in hardcover at Barnes and Noble. This site is eligible for the Best Author site award in the The Wooden Rocket Awards, but note that to vote, you must subscribe to their online newsletter for at least two months. 03/05/03 Updated Appearances. AggieCon 34 is March 20-23. 02/05/03 Added two early reviews for The Wizard Hunters and updated Appearances. 01/09/03 Amazon.com apparently got testy when Martha tried to stop the site's associates account so they deleted her personal account, and sent a very rude email to boot. So we're removing all the amazon.com links and recommending you look for the books at Barnes and Noble or better yet, your local bookstores. 01/07/03 Posted a fourth chapter of The Wizard Hunters. The publication date is still May 2003. FYI: this site is no longer an Amazon.com affiliate. 12/04/02 Updated Appearances with new entries under Conventions, News and Other Appearances, and Media. 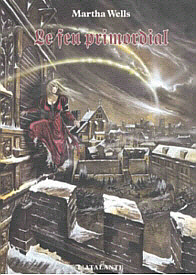 10/31/02 The French edition of The Element of Fire ("Le feu primordial ", l'Atalante) has been published. Check out the great cover by artist Gilles Francescano. You can also see the first cover design for The Wizard Hunters, with art by Donato Giancola. 09/26/02 Harpercollins has moved the publication date of The Wizard Hunters from July 2003 to May 2003. Yay! 09/20/02 Two short stories ("Bad Medicine" and "Thorns") have been posted on the new Excerpts and Stories page. 08/22/02 Posted a third chapter of The Wizard Hunters and Rory Harper's Biography of Martha written for ArmadilloCon 24 was added to the Biography page. Updated Appearances . 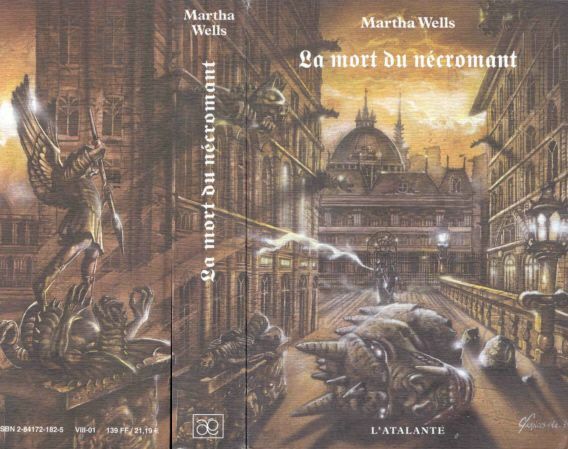 06/14/02 The French edition of The Death of the Necromancer ("La mort du necromant", l'Atalante) was nominated for the First Annual Imaginales Award given out at the Imaginales Festival (May 23-26, 2002) held in Epinal, France. Artist Gilles Francescano was also nominated for the cover illustration for La mort du necromant. Book Recommendations was updated. 05/08/02 Added the Altavista Babel Fish Translation Tool to some pages. Only a limited number of languages are available and unfortunately Russian and Dutch aren't among them. 03/15/02 Posted the original map of the Palace of Vienne done by Scott McCullar for The Element of Fire. More new Book Recommendations and minor updates to Works in Progress. 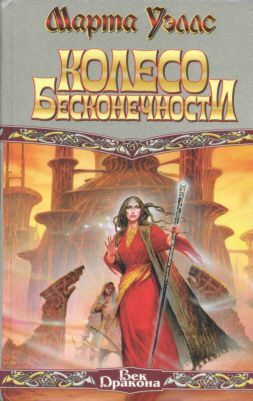 Original cover for the Russian edition of Wheel of the Infinite from Toymania was added.